The 24" Square Leg counter stool gives your decor a modern touch with its clean designs. 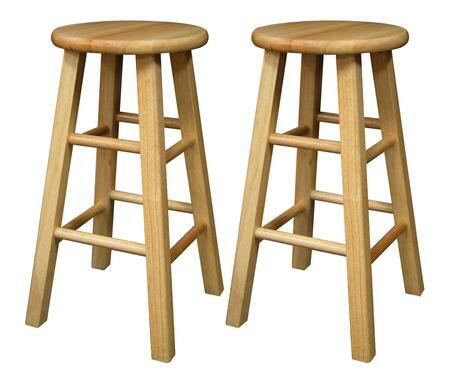 The set comes with 2 counter stools and is perfect for your kitchen or dining area. 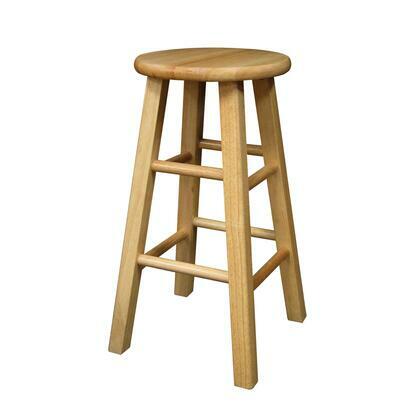 Overall stool size is 13.4"W x 13.4"D x 24.2"H with a seat diameter of 12" and is made of solid wood in natural finish. Comes fully assembled. Each stool stands at 13.4"W x 13.4"D x 24.2"H. Seat dimension is 12" in diameter. 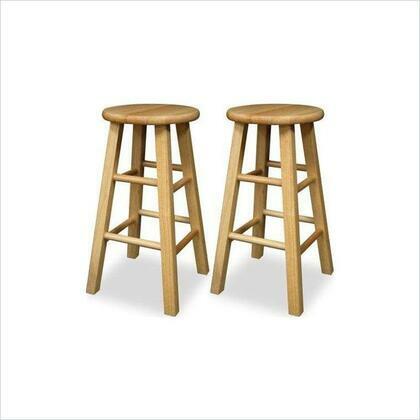 This set includes 2 stools and is perfect to pair with a kitchen island or counter height table. Made from solid wood in a natural finish. Ships fully assembled.